Co-design and co-delivery are part of the ethos of the McPin Foundation. 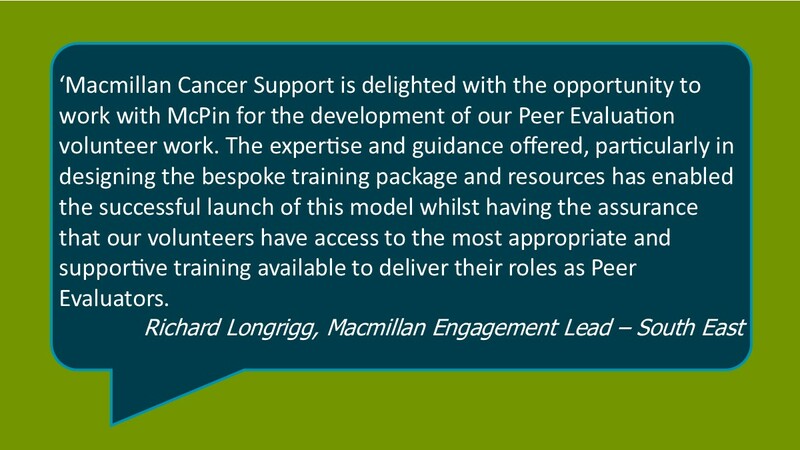 We have just completed our second successful three-day training for Peer Evaluators with Macmillan cancer support. Running the training a second time gave us the freedom to improve and develop materials and content from the first time around.